LOS ANGELES: Five persons have been killed after a small aircraft crashed in Santa Ana city in the US state of California, officials said. The twin-engine aircraft on Sunday crashed near the South Coast Plaza shopping centre in Santa Ana city, according to the Orange County Fire Authority, Xinhua news agency reported. The plane went down into the parking lot of a Staples Supercenter, City News Service reported. A medical group has been established to handle patient care and treatment, said the Orange County Fire Authority. It was not clear if any people on the ground were injured in the incident. The plane was registered to a San Francisco company and had flown from the East bay suburb of Concord, according to the Federal Aviation Administration (FAA) records. 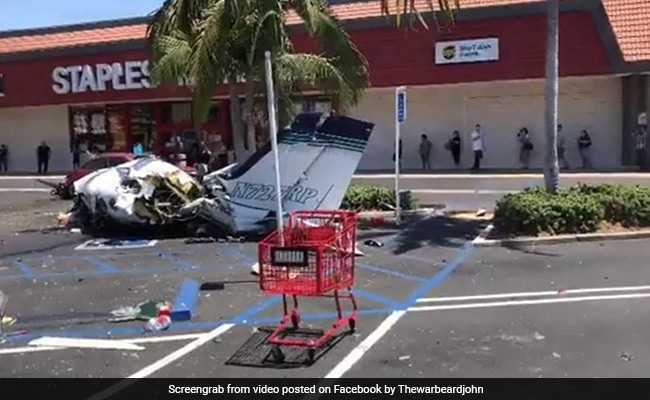 The FAA tweeted that a Cessna 414 declared an emergency landing and crashed in a mall parking lot near the John Wayne Orange County Airport.